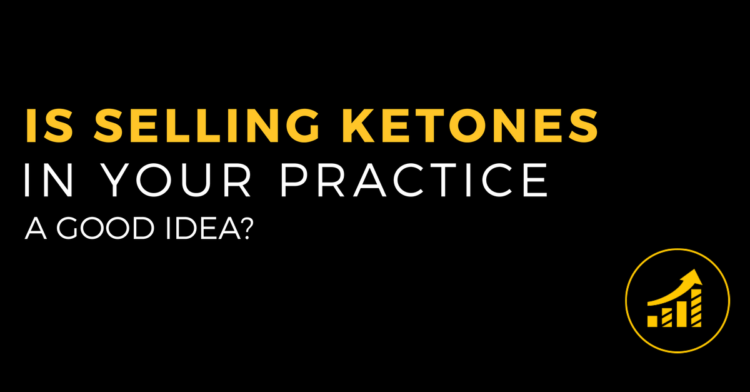 #38 Is Selling Ketones In Your Practice A Good Idea? In the world of chiropractic, it’s commonplace to ADD extra ‘stuff’ into your practice. Ketones, protein powders, weight loss, every single vitamin known to humanity, pillows, orthotics, books, workshops, essential oils, rehab tools and in some (many) cases… you’ll find everything under the sun! Should these extras be added? Is it anti-chiropractic to do anything else other than a check-up and correction? Are you tempting the chiropractic gods? This has been a heated debate among chiropractors for decades. Unfortunately, most of those in the debate have never paid attention to incorporating real world (vs. chiro-world) business principles to the conversation. No question, success leaves clues. What do the most successful companies in the world choose to do? What should you do? On this episode, that’s exactly the burning question we tackle. What is your core product? How do you determine what is the central piece and what is peripheral? What are the biggest benefits to staying focused on your ONE THING? Two absolutely mandatory requirements that MUST be met if you wish to successfully add “extras” to your core product. What happens when you decide to forgo our advice and sell a product or products disassociated from your core product. The truth about the Multi-Level Marketing business model and what that could mean to your practice.